Although it is easy to forget, Madeline Albright was the first woman to serve as United States Secretary of State, nominated for the position by President Clinton shortly after Clinton’s re-election in late 1996. Prior to becoming Secretary of State, Albright served as US Ambassador to the United Nations. But in addition to being a distinguished diplomat, Albright is also a first-rate storyteller, as she demonstrates in “Prague Winter: A Personal Story of Remembrance and War, 1937-48.” Combining a mellifluous style with what strikes me as a distinctly Central European sensitivity to history’s capriciousness, Albright offers a riveting account of the daunting challenges which her native Czechoslovakia confronted between 1937 and 1948, along with personal remembrances of her earliest years. acting to substitute a Christian identity for a Jewish one would have been – in the absence of a genuine religious calling – hard to conceive. When viewed through the lens of the Holocaust, the moral connotations of such a choice had been altered irrevocably. Perhaps that is why my parents never found a good time to discuss the decision with me and seemed to avoid doing so with others. 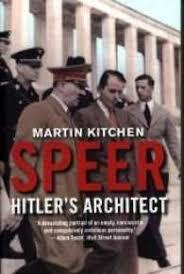 Before the slaughter of six million Jews, they might have found the words; after it, they could not (p.193). Albright moves back and forth between her life with her family as a young girl, and the plight of Czechoslovakia between 1937 and 1948. 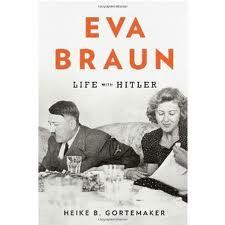 But her book also contains a good background primer on the country prior to 1937. Czechoslovakia was created in the aftermath of World War I, carved out of the former Hapsburg Empire. A small country, surrounded by larger and more powerful neighbors, notably Germany, it was made up of three major ethnic blocks, the Czechs, the Slovaks, and the South Germans. Each dominated in a portion of the country, and each portion included a substantial Jewish population. In the 1920s, the young country looked like it was set to prove that liberal democracy could succeed in the heart of Central Europe. It had a forceful and widely revered President, Tomáš Masaryk, the “rare leader who taught as he led” (p.402), whose vision was to “embrace religion without the straightjacket of the Church, social revolution without the excesses of Bolshevikism, and national pride without bigotry” (p.39). Masaryk, “could easily have been elevated president of Europe,” Albright speculates, if such a post had existed in the inter-war period (p.47). Czechoslovakia had a literary rate twice as high as neighboring Hungary, even higher than Germany. Guided by a national motto, “in work and knowledge is our salvation,” the Czechs were industrial leaders in Europe. By 1930, their country ranked 10th world wide in industrial production. An obscure insurance agent from Prague and part-time writer named Franz Kafka introduced the safety helmet into workplaces, while a young German physicist, Albert Einstein, propounded on new theories of matter at Charles University in Prague. But in Albright’s view the country’s most basic problem was its “system of ethnically distinct schools and social organization” among its three major ethnic groups, an “obstacle to building a united Czechoslovakia” (p.65). 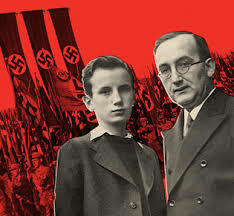 By 1937, the year Albright was born, it had become clear that Hitler had his sights on the Sudentland, Czechoslovakia’s German speaking region. 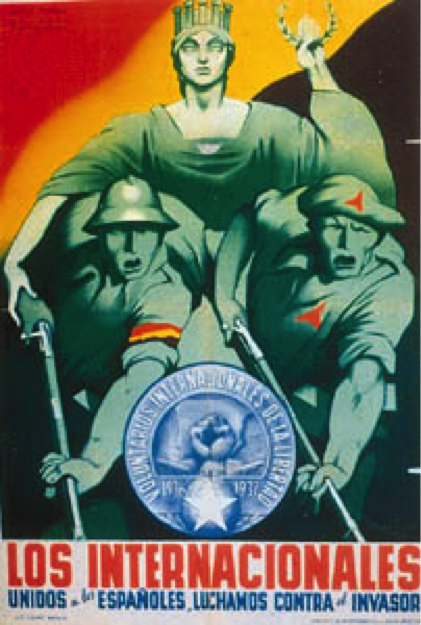 In broadcast after broadcast, Nazi propaganda announced that the Czechs were conducting a “passionate fight for extermination” against the Sudetens (p.78). German-owned businesses were being “forced into bankruptcy, children were starving, the level of oppression was incredible,” Albright writes, going on to note that this propaganda was “carefully disguised as independent reporting to deceive international audiences” (p.78). 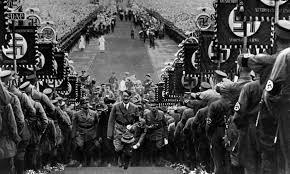 One year later at Munich, without consulting Czech leaders, Great Britain and France (along with Italy) gave into Hitler’s demands in October 1938 to cede the Sudentland to Germany in a futile quest for peace with the obstreperous dictator. British Prime Minister Neville Chamberlain explained in still-chilling words the rationale for what would come to be the classic instance of pre-World War II appeasement: “How horrible, fantastic, incredible it is that we should be digging trenches and trying on gas masks here because of a quarrel in a far-away country between people of whom we know nothing.” Albright describes Chamberlain as a “practical, business-oriented man, supremely confident in his judgments and disdainful of critics” who “did not believe that war was a solution to any problem and felt sure that all intelligent men would conclude the same. . . In Chamberlain’s universe, people might be flawed, but they worried about their souls and did not set out to do monstrous things” (p.71). Less than six months later, the German Wehrmacht moved into and occupied the remaining Czech territory. Czechoslovakia’s President Edvard Beneš, who had succeeded Masaryk in 1935 when the latter resigned because of poor health, fled to London, where he headed a Czech government-in-exile. “Small countries can survive hostile neighbors,” Albright writes, “but the odds lengthen when a significant minority identifies with the enemy” (p.62). 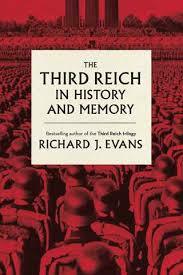 What happened in Czechoslovakia in 1938 was “not an inevitable consequence of ethnic diversity” but rather the tragic convergence of events, most notably the “failure of governments in and outside Central Europe to comprehend the scope of the danger they faced” (p.62). Albright ‘s father, Josef Korbel, was a diplomat who served before the war as press attaché in the Czech Embassy in Belgrade, Yugoslavia. When war came, he took his family to London. 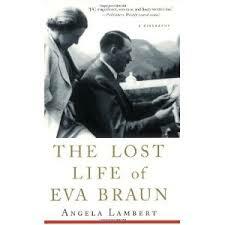 During her years in London, from 1939 to 1945, Albright had many contacts with Beneš, by then Czech President in Exile. Even at her early age, Albright developed a fondness and admiration for the man who is the lead figure in this historical narrative of Czech history between 1937 and 1948. A less commanding figure than Tomáš Masaryk, with less intellectual range, Beneš nonetheless “worked consistently within the confines of the democratic and humane values that Masaryk championed. 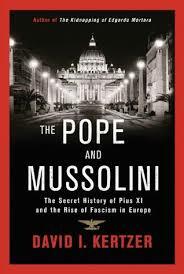 . . [and] performed miracles in holding the government in exile together and realizing its goals” (p.401-02). Several members of Albright’s extended family were less fortunate during the war years than Albright and her immediate family, winding up in Terezín, a Czech city converted into a concentration camp after Czechs in 1942 assassinated Reinhard Heydrich, the German protector of Czechoslovakia and Hitler’s personal envoy. There were no gas chambers at Terezín. It was not an extermination camp but was a killing ground nonetheless, because the “deaths from supposedly natural causes were due to unnatural conditions” (p.245). 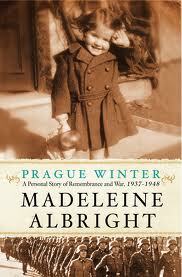 In all, 25 members of Albright’s family were sent to Terezín, including three of her four grandparents; none survived. alleged collaborators were simply killed; in others, they were hauled off to makeshift prisons to be interrogated and tortured. In many towns, the maiming of local Germans became a spectator sport, as crowds gathered to jeer. To the local guardians of security, the rough treatment was not lawlessness but justice. 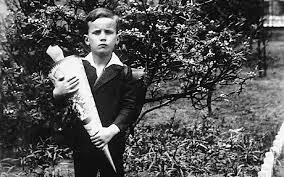 Germans were given the same rations that Jews had been allotted during the war and were prohibited from entering hotels, restaurants, and shops. They could no longer speak their language in public. In some towns, they were required to wear specially colored armbands; in others, swastikas were painted on their backs. 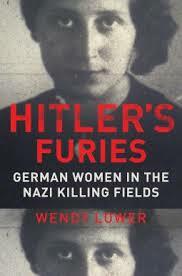 . . Czech women who had a reputation for fraternizing with Germans were humiliated (p.333). At the 1945 Potsdam conference, Great Britain and the United States approved the “orderly and humane” expulsion of ethnic Germans from Czech territory (p.337). Roughly 3.5 million ethnic German Czechs were formerly expelled to the American and Soviet zones of Germany, along with the uncounted thousands who were pushed out before the program officially began. In the end, only about 250,000 ethnic Germans remained in Czechoslovakia, about 10% of the pre-war population. Albright recognizes the post-war treatment of ethnic Germans as a dark chapter in Czech history, an indiscriminate imposition of collective war guilt which fell most heavily upon the innocent, the defenseless and the weak. Still, she says, her father supported the expulsion, although he qualified his support by admitting that it was “sometimes accompanied by excesses of brutality which no decent man can condone” (p.339). After the war, Albright’s father returned to Belgrade, this time as Czech Ambassador to Yugoslavia, and watched at a distance as his country succumbed to another totalitarian power, the Soviet Union. The post-World War II Soviet-led takeover of Czechoslovakia was more gradual, more nuanced than that of the Nazis, but the end result could not have seemed appreciably different to most Czechs. As the war ended, Beneš concluded that he could not depend upon Great Britain or France to guarantee the country’s future security. Nor did the distant United States seem likely to be an effective guarantor. 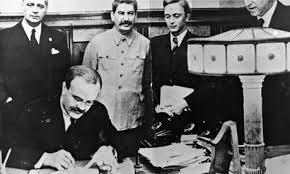 Accordingly, Beneš let Stalin and his Kremlin associates know that he sought good relations with the Soviet Union and Czech Communist Party leader Klement Gottwald. As Albright explains, “Establishing a firm bond with Moscow was an essential element in Beneš’s postwar strategy. 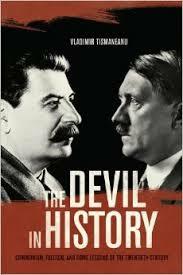 . . Beneš believed that his country needed a powerful friend” (p.256-57). As the war ended, Beneš faced the tall order of “trying to champion democracy, implement leftist economic policy, mollify the West and butter up Stalin all at the same time” (p.295). Together, Beneš’and Gottwald planned for a post-war Czechoslovakia that would give each a leading role. When Beneš’returned from exile in London, he added seven communists to his government. 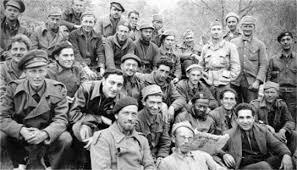 The Communists dominated the security forces, with the power to investigate and arrest, giving them enormous leverage over the government. In response to an attempt in February 1948 by the Interior Minister to purge non-Communist elements within the Ministry, the government’s non-Communist ministers resigned. After about two weeks of Communist-inspired labor unrest and violence, Beneš accepted the resignations of his non-Communist ministers and appointed a new government under Gottwald’s leadership. These resignations proved to be a huge tactical error, giving Gottwald the “chance to seize power through what many would see as constitutional means” (p.385-86). The only important non-Communist to remain in the government was Foreign Affairs Minister Jan Masaryk, Tomáš Masaryk’s son and Albright’s father’s boss, the nation’s “emissary to the world” (p.231). Two weeks later, Masaryk was dead under mysterious circumstances. The Communists maintained that Masaryk’s death was a suicide. Albright thinks he was murdered, but even today the question has not been definitively resolved. 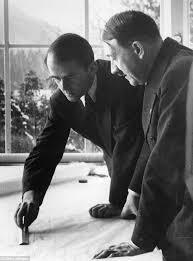 After Masaryk’s death, Czechoslovakia became the last of Stalin’s Eastern European satellites. 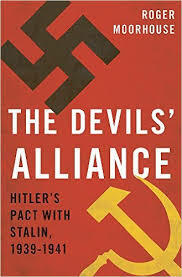 The country’s 1948 fall to the Communists was a turning point in the Cold War, with Masaryk’s death and the Soviet takeover erasing “any lingering hope that collaboration between the Soviet Union and the West – so essential during the war – could survive even in diluted form” (p.411). Albright’s family immigrated to the United States one year after Masaryk’s death, in 1949, settling in Denver, Colorado. Josef Korbel found a job teaching international politics at the University of Denver and went on to found the school’s Graduate School of International Studies. Before Korbel died in 1977, he almost certainly never imagined that in addition to his daughter becoming the first female Secretary of State, one of his students, Condolezza Rice, would become the second woman to hold the position and the first African-American. Czechoslovakia remained within the Soviet orbit until 1989, when it threw off the communist yoke in the “Velvet Revolution,” only to split into separate Czech and Slovak republics in the “Velvet Divorce” of 1993. Czechoslovakia was surely not a far away country to most in the West in 1938, Chamberlain’s cringe-inducing description notwithstanding. That year and the full period of the Prague winter may nonetheless seem like a far away time for many readers, including Czechs and Slovaks who came of age after 1989. The Nazis have now been gone from Czechoslovakia and Central Europe for nearly 70 years and the Communists for almost 25. But, as Albright reminds us in the conclusion to this powerful story, twice in her lifetime, “Central Europe lost and then regained its freedom; that is cause for celebration – and also for vigilance” (p.411).